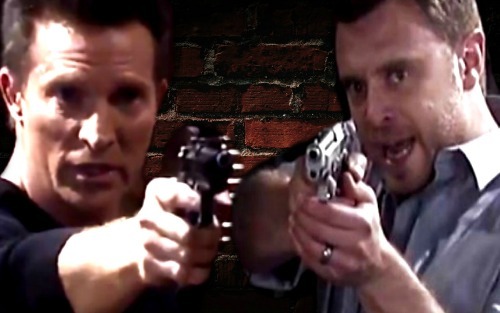 General Hospital (GH) spoilers tease that Jason (Billy Miller) and Patient Six (Steve Burton) will begin the next phase of a bold mission. 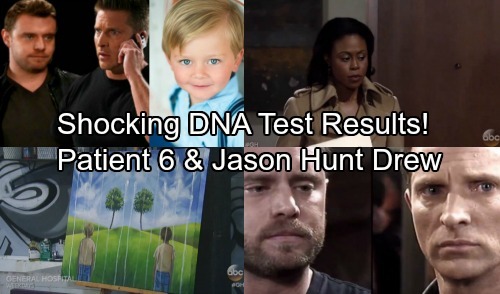 The DNA test results will leave them both in the running for Jason Morgan. They have the same DNA, which means they can at least settle on the fact that one of them must be Andrew. Naturally, Patient Six and current Jason will reject that title. They’ll both try to prove that the other brother is Drew. General Hospital spoilers say Jason and Curtis (Donnell Turner) will remain a team. They’ll continue their efforts to sort this mess out, but they’ll focus on more Drew details from now on. Patient Six and Sonny’s (Maurice Benard) search for answers will head in the same direction. They’ll rely on Robin (Kimberly McCullough) as they work back from Jake Doe’s first day in town. Sonny and P6 be anxious to learn anything that could connect current Jason to Drew. Franco (Roger Howarth) will keep quiet about Jason’s true identity and let the twins work this out for themselves. He’ll hope that they stay stumped so he can keep the status quo. Franco certainly doesn’t want Liz (Rebecca Herbst) to find out about his violent nature as a child. He won’t want to jog Drew’s memory either. Franco nearly killed Drew as a kid, so reconnecting is just a bad idea. Patient Six and current Jason will have a hard time finding solid info. 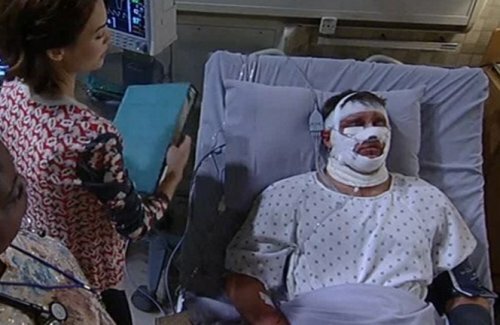 General Hospital definitely won’t make it easy to solve this mystery. They’ll have to jump through a lot of hoops to get clues about the past. Perhaps tackling this challenge together would be a good option. In a recent GH Facebook live chat, Laura Wright (Carly) and Steve Burton acknowledged that possibility. They talked about the notion of current Jason teaming up with Patient Six. Wright was especially interested in seeing the show explore that. She thought it’d be great for the brothers to connect through their hunt. Patient Six and Jason could even join forces after the big reveal, which may or may not stick. After all, they’ll both want to make the person responsible pay. Whatever the case, it’d be nice to see the twins on better terms. Are you ready to see more of this hot plot? We’ll give you updates as other GH news comes in. Stay tuned to the ABC soap and don’t forget to check CDL often for the latest General Hospital spoilers, updates and news.